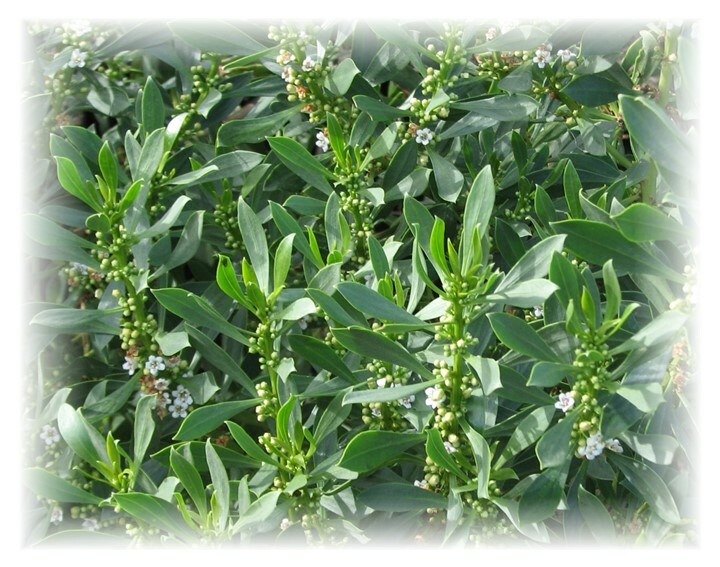 Myoporum is very drought and frost tolerant, and has been very successful in a wide variety of soils. Its stems are covered by beautiful clean foliage and white flowers. Hardy Myoporum is a great choice for coastal areas.